The pirates try everything to sink the Swedish ship in Naval Action, but it’s not enough. It’s certainly entertaining though. 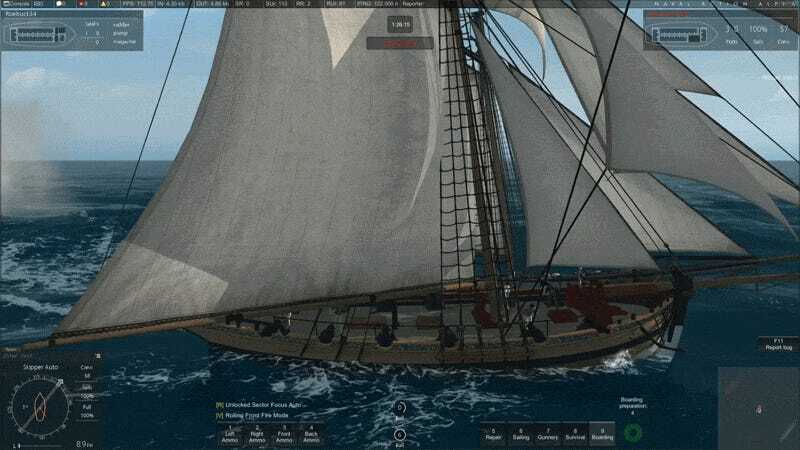 Naval Action is a sandbox sailing game on Steam. It’s in Early Access, which is probably the reason for the unusual combat, and not reading the wrong book about the Age of Sail.